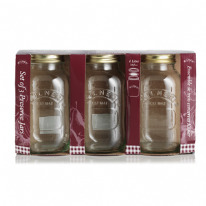 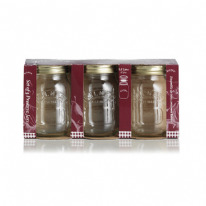 The luxury glass preserving jar with traditional Kilner styling features a very easy to use metal screw top lid made up of 2 pieces, a replaceable vacuum seal and a metal screw band to secure the seal. 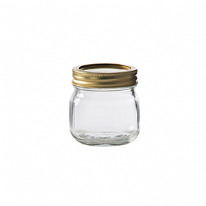 The screw band can be re-used up to 10 times but the vacuum seal is not re-usable and will need to be replaced after each use. 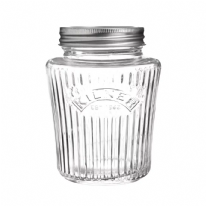 Preserving is both an economic and environmentally friendly way to maximise your fruit and vegetable over stocks, the Kilner jar will prove indispensable.